I’ve been asked several times over the last couple of weeks what I put in my morning smoothies and when I say “moringa” as one of the ingredients, I’m asked, “What is that?” It’s hard to explain, especially on twitter when you only get 280 characters, but it’s a great question. And I do love questions! Moringa (Moringa oleifera), also known as the drumstick tree, horseradish tree or ben tree, is a mostly unknown source of food in the western part of the world. I typically explain it as an energy boost that comes from the green leaf of the moringa tree and leave it at that, although it’s so much more! I started adding moringa to my morning smoothie following more research into solving my digestive issue. I was looking for foods that would be powerful healers for the liver. 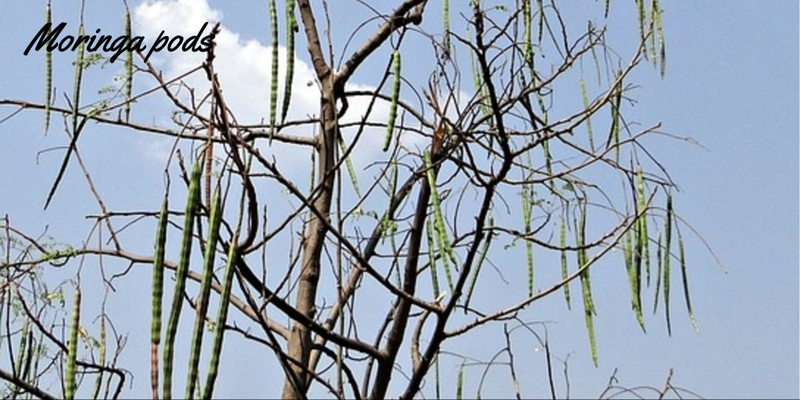 Moringa is native to the foothills of the Himalayas in India. Today it is grown around the world in tropical, subtropics and semi-arid regions. It’s known as the “Miracle Tree” for its many benefits as an energy booster, detoxifier, and soother. It’s often dubbed a “superfood” as it is packed with nutrients and anti-oxidants. Besides being known as the “Miracle Tree,” it’s also known as “The Vitamin Tree,” “The Never Die Tree” and “Tree of Life.” Every part of the tree can be used. The seeds, pods, and flowers are used as food and traditionally eaten raw. The bark, stems, and roots are used for making tools. Some parts are used for making Ayurvedic medicine, although, I consider it food. On the other hand, food is medicine, so either consideration is a win. Indeed, 100 grams of moringa leaves provides seven times the Vitamin C in oranges, four times the Vitamin A in carrots, as much calcium as in a large glass of milk, and as much protein as an egg. It scores much higher as an anti-oxidant than more commonly referred to Acai berries, green tea, and yes, even dark chocolate! 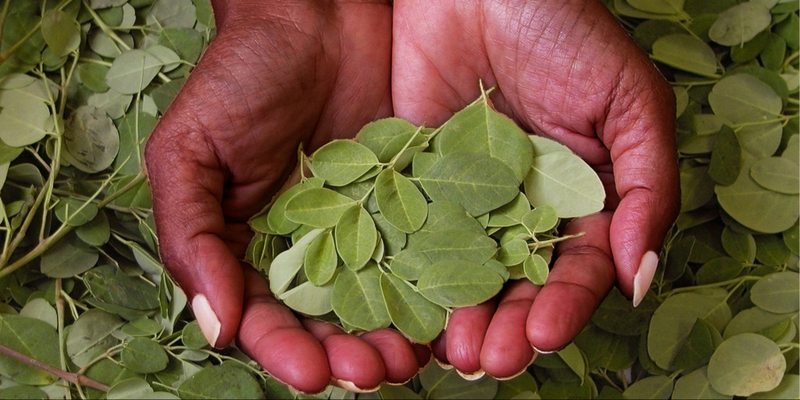 Outside of the regions where it’s grown, moringa is consumed more commonly as a powder, oil, or capsule. In its native environment, people reach up and grab a young leaf to chew on to get that fresh off the branch serving of vitamins and other nutrients. The leaves can be cooked and eaten to make them easier to digest, but some of the nutrients and vitamins will be lost in the cooking. Seven pounds of fresh Moringa leaves is equivalent to one pound of leaf powder! Daily consumption is 1 teaspoon to 1 tablespoon. It can have a mild laxative effect in large quantities, so it is recommended to start out with a ½ teaspoon and increase it daily. I now add 1 tablespoon to my morning smoothie. 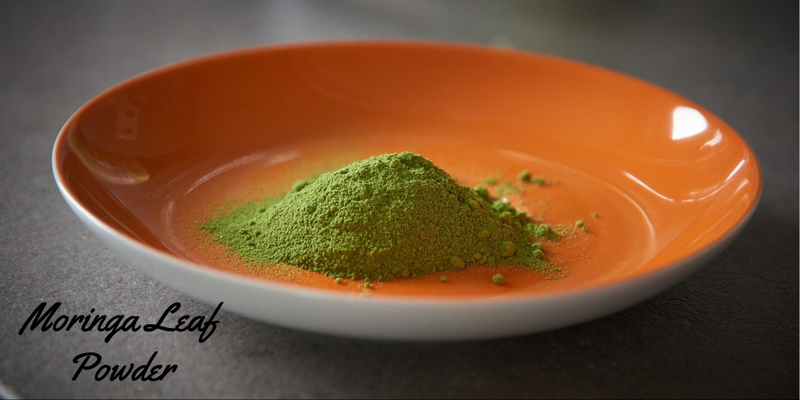 Moringa powder can be added to nearly anything or made into a tea. When adding to soup, wait until near the end of cooking as heat decreases the nutrients. Moringa tastes earthy and works best with peanut or lemon based soups. Moringa contains 18 of 20 amino acids with all 9 essential amino acids. Moringa is a strong anti-bacterial and helps fight skin infections, as well as bacteria responsible for blood and urinary tract infections. The leaves, roots, and seeds promote healing for insect bites and wounds and reduce clotting time. Moringa reduces inflammation by suppressing inflammatory body enzymes and proteins, as well as lowering inflammation in the cells. Made into a tea, the leaves help fight colds. Moringa is an agent for preventing hypercholesterolemia and hyperglycemia. The leaves help protect the liver and promote detoxification of the body. As an anti-oxidant Moringa supports brain health and is being tested as a treatment for Alzheimer’s disease. High concentrations of polyphenols in Moringa leaves and flowers protect the liver against oxidation, toxicity, and other damage. A heart-healthy advantage in the prevention of plaque inflammation in the arteries. Make sure the product you are buying is 100% Moringa oleifera. When buying as a capsule, make sure the capsules are vegetarian or vegan. Do your research on the manufacturer. I favor TERRASOUL products. Their products are Non-GMO, RAW, and USDA organic certified. Don’t store opened Moringa longer than six months as it experiences 50% loss of nutrients after this time, although, the protein content will be preserved another six months. Store the powder in a water-air-light proof container. 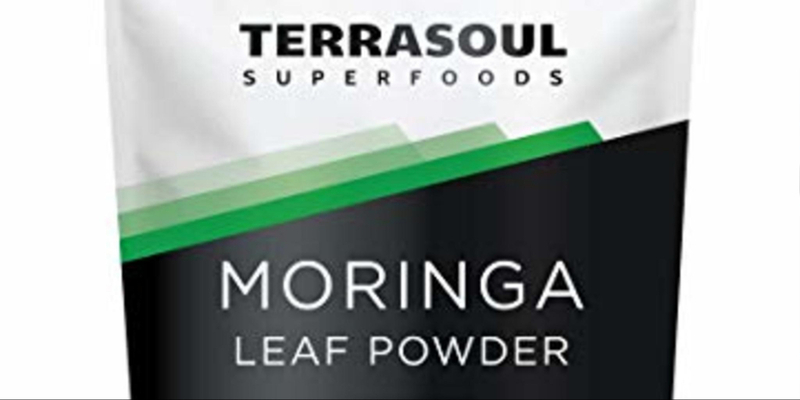 I recommend TERRASOUL Moringa Leaf Powder.